The PC Gaming market has not short supply of great gaming mice. There are so many these days that someone could get lost looking through them all. You can even go so far as to choose a mouse that works for the particular game type that you like. The problem is that once you get this great mouse home you might have to run it across a surface that is… less that optimal. 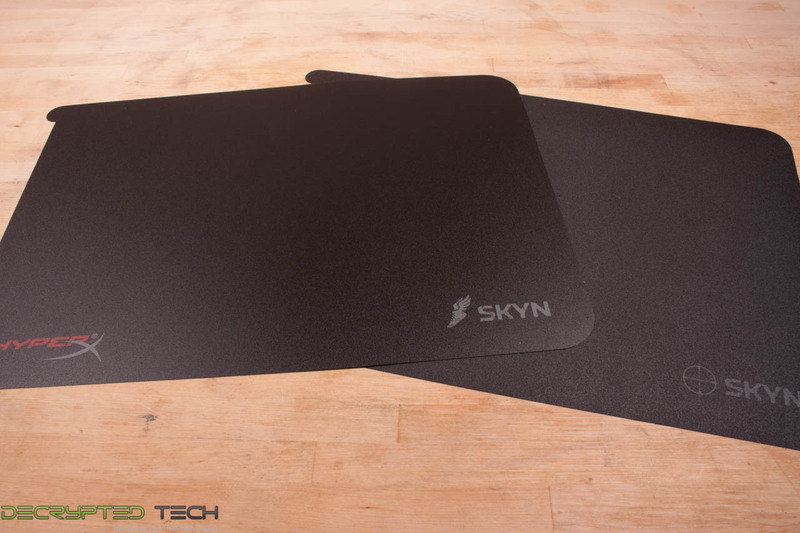 Here in the mouse pad vertical there are a number of products, but not all are suited to gaming and not all fill fit every gaming style. 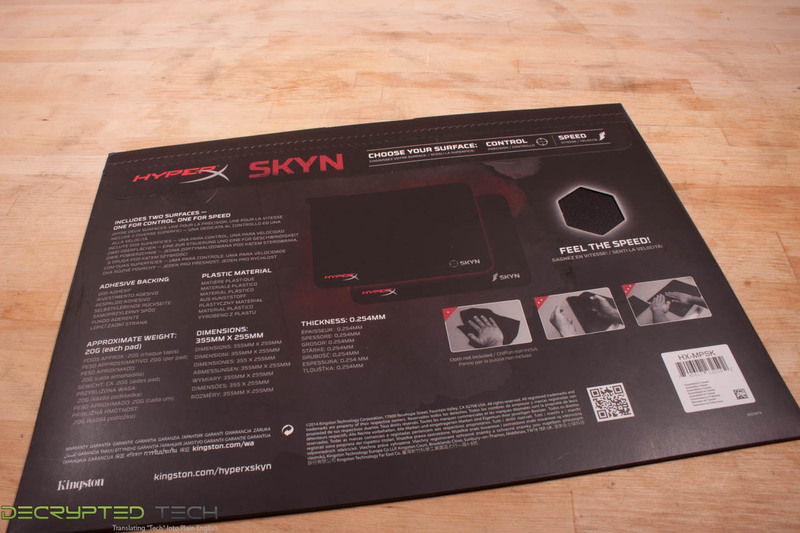 Today we are looking at a pair of mouse pads that can offer you either precision or speed. These are part of Kingston’s new dive into the peripheral market and are call HyperX Skyn. Let’s see what they have for us. 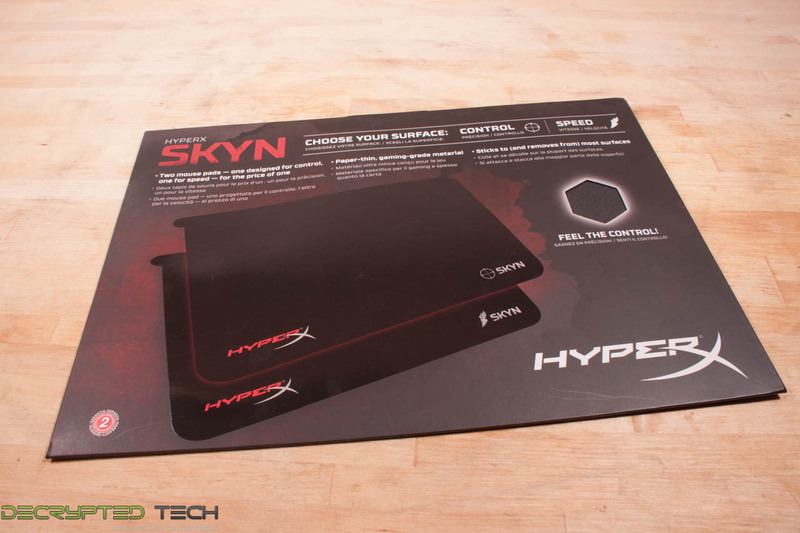 The Kingston HyperX SKYN mouse pads come in a very thin envelope style package. There is really not much too unless you count marketing hype. 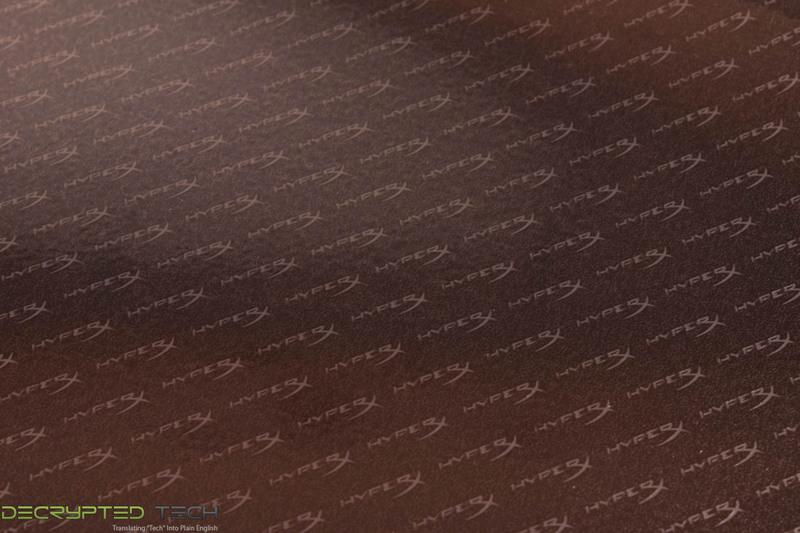 Kingston does allow you to feel the surfaces of both pads so you can judge the amount of friction you want with your gaming. 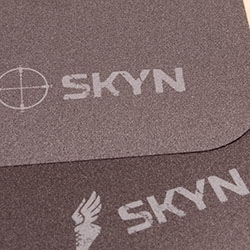 Once you have torn open the Skyn packaging you will find two very thin mouse pads. Each of these has a very different grain and feel to them. Even looking at them you can see they are very different surfaces. Kingston is clear that one is intended to give you a speedy and quick surface and the other is meant for more precise and controlled movements. The type of pad is denoted by a small icon near the SKYN name. The winged shoes of Mercury clearly let you know that is the pad meant for speed, while the crosshairs mark the pad meant for control. 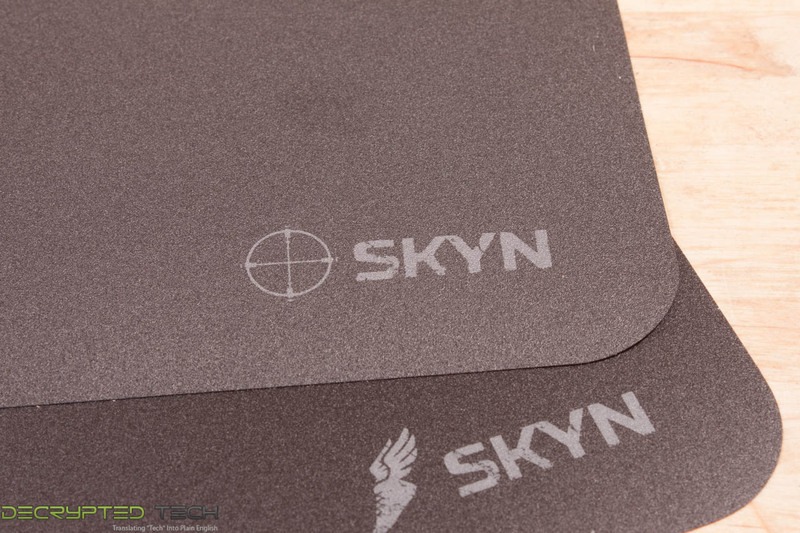 Now, one thing that is very clear the moment you open the envelope, the Kingston SKYN pads are not like the traditional thick rubber or plastic surfaces you have gotten used to. Instead these are designed to improve whatever surface you are using. 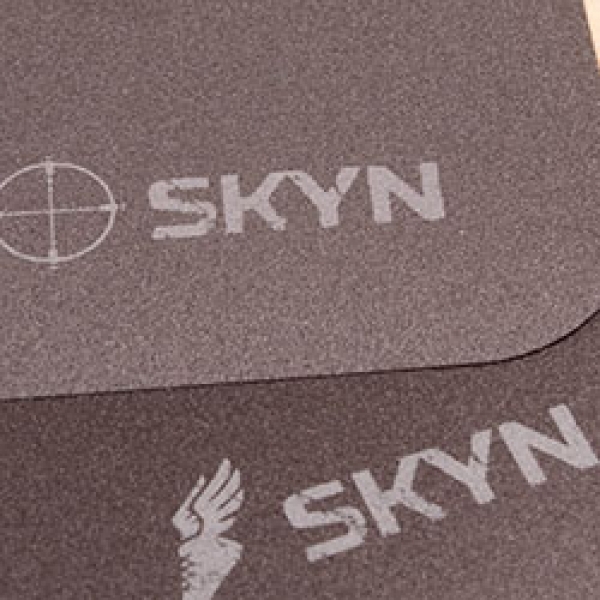 Flipping the pads over you will notice that the SKYNs are meant to be stuck to the surface you are using. Kingston says that the pads will stick securely, but that they are easy to remove. This has an up and down side to it. On the one hand you can put one of these anywhere you want, on the other it could mean that these have a limited number of uses before they simply do not stick anymore (if you move them around a lot).